Home » Uncategorized » The ill gotten proceeds of Henry Ogunde, The Jailed Nigerian Fraudster in the UK given to Charity. The ill gotten proceeds of Henry Ogunde, The Jailed Nigerian Fraudster in the UK given to Charity. One 71-year-old retired doctor, who was looking to buy a house, was duped into losing his entire life savings of £154,000 in just one transaction. Henry Ogunde, jailed for various fraud including Credit Cards and Identity fraud has lost all his ill gotten proceeds. The 33-year-old Nigerian, who is an illegal immigrant, with his co-conspirator Marvin Campbell aged 28, were jailed for 51/2 and 81/2 years respectively in 2016. 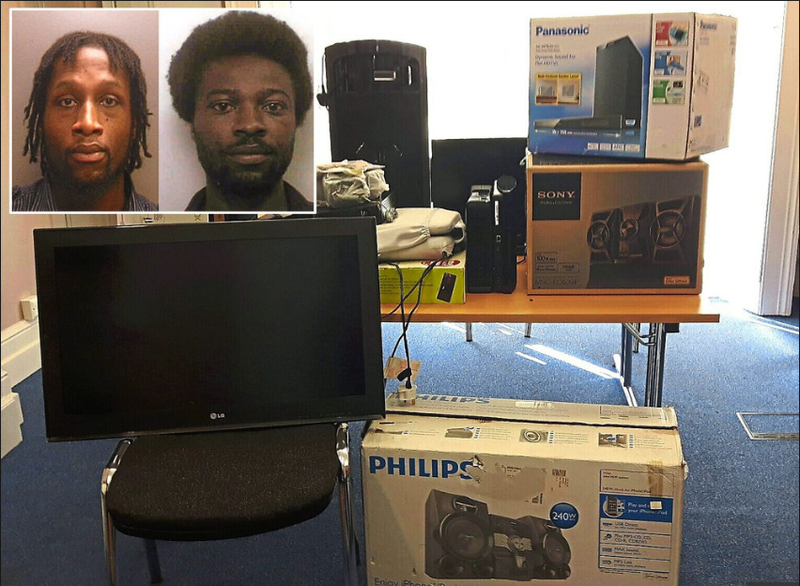 Properties seized from the pair were donated to the Charity “The Haven in Wolverhampton” that helps women and children after efforts to trace owners failed. The goods were recovered from crooks who orchestrated a scam that involved persuading vulnerable victims in the West Midlands to set up bank accounts, fake companies and move money to help their frauds and then resorted to threat and intimidation if the victims resisted. One scheme involved sending fraudulent emails to companies and individuals pretending to be existing suppliers or customers, the fraudsters then fostered these relationships before eventually requesting the payment of cash into a money laundering account. They earned an estimated value of £730,000 of fraudulently obtained cash and goods in a variety of scams targeting major and small retailers as well as individuals. The National Crime Agency worked in partnership with West Midlands Police and the West Midlands Regional Organised Crime Unit to make the arrests and recover the property.